Here, we show you how to build a solid customer base. Your company’s products or services are of top quality. That is not enough to attract your target customers. Their experience of interacting with your company matters as much as the quality of your products. You should put in place an effective customer engagement plan to ascertain a timely support. A report from Totango says that more than 80% of customers are ready to spend more on the high-quality customer experience. So, how does your company reacts after a customer signs up with your website and takes no further action? If you wait for the customer coming back to your site on own will, you may lose a potential customer forever. But if you can at least send an automated email reflecting your last interaction, chances are that the customer will respond. You can also shed some light describing the silent features of your product. Before starting your customer-experience plan, understand those values that will attract your customers. If you want to retain your audience, understand your customer experience journey. You will need to build a chain of interactions with your customers. It would be good if your marketing team comes out with some imaginative and innovative ways to make the shopping experience enjoyable. You can create new ways for quick checkout lines for customers and offer them well-curated product selection. Your company can lure them with some attractive deals. Think of innovative ways such as these to engage your customers. When customers visit your site, they stop on various touch-points. Sometimes, they stop moving further abruptly and disappear. The experienced marketers, therefore, keep an eye on the customers’ behavior. They use technologies to collect real-time feedback and act on it immediately. The point here is to understand your customers’ need in advance by analyzing the data of their behavior on your site. Some of your customers may be experiencing problems while at your site. You should have a system to find out those customers quickly. For example, you can ask your customers to rate your service or product. Those rating it below 5 on a scale of 10 are the customers who need your attention more than the others. You can send emails and messages to them. A study has revealed that 42% of consumers expect a response within 60 minutes from companies on social media. But when you are handling many social media accounts for your business, it become mandate to create a unique social media page design to make it look visually attractive and posting engaging content as it becomes difficult to find out the customers needing your attention immediately. Your marketing team must put in place a prioritize list of customers who need quick follow-up. Many companies spend their time and money on managing their high-value customers. That is not a good strategy. According to McKinsey, customers visit a business more when they have a great buying experience. This should prompt you to invest your attention towards your lower revenue customers. Make sure that your team monitors all accounts and not just the high-powered ones. 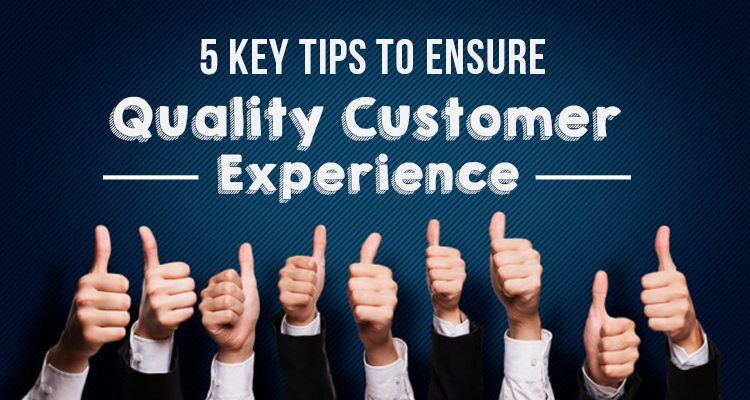 To conclude, customer experience is a key to your success in achieving your business goals. Your company should be devise new plans based on how your customers are behaving at different journey points on your site.